solar charge controller series ( solar controller,charge controller,solar regulator) are of stable quality and high reliability, and can be applied under various worse geological conditions. Its appearance and function design has reached international advanced level. 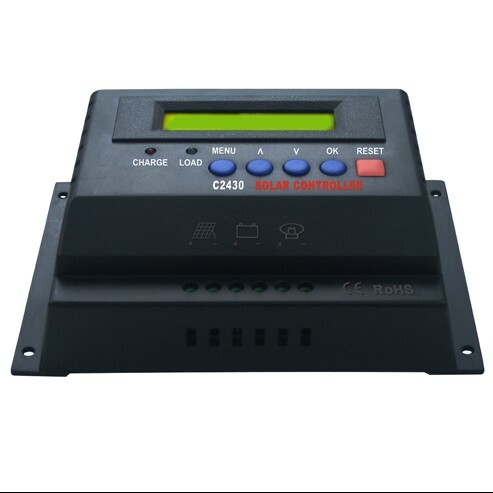 Depending on the types and actual charging situation of the battery,C series solar charge controller can provide the fast and best charging voltage and electricity from the PV panel. solar charge controller are equipped with advanced man-machine interactive function, so the user can adjust the charging voltage.